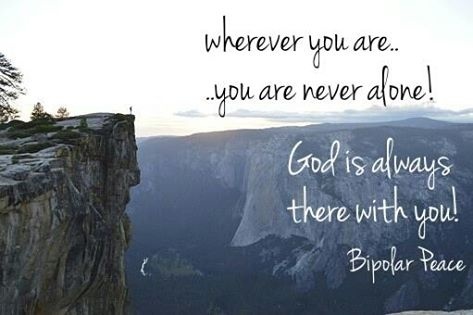 God Is There With You! I sat there, kneeling, alone. I looked down at my wrists. Both showed the past that I couldn't hide. The scars ran across, up and down. I slowly ran my fingers over each. No one knew these scars existed. Like every other part of my life, I hid them well. As the tears fell down my cheeks, the sobs couldn't be contained, though I silenced them perfectly. I didn't need to wake anyone with this outburst of emotion. There, in my livingroom, the pain that I'd never dealt with surfaced. I could feel it from my head to my toes. My heart ached for healing, and normalcy. With no one to turn to, with no where to go, I fell to my knees. Not wanting to live another day. And it was there, in that room, that God saved me. I'd accepted Jesus Christ years ago. This wasn't a spiritual saving. No, it was a literal life saving moment. I thought I was there crying alone, but He never left my side. And he saw it all, he knew it all. What I successfully hid from the people in my life, I could never hide from him. God showed me in one cold, lonely night that he knew all my hidden secrets, and that it didn't matter. ...He loved me through it all.